Hoodia is a succulent, flowering, cactus-like plant that grows in the arid desert areas of South Africa. It's becoming known for being an appetite suppressant and potential natural weight loss remedy. If you're thinking about trying hoodia, here's what you need to know. The National Center for Complementary and Alternative Medicine (NCCAM) states that hoodia first earned its reputation as an appetite inhibitor when Kalahari Desert Bushmen used hoodia stems to lessen thirst and ease hunger while hunting for long periods of time. Although limited research has been done on hoodia since the 1960s, North American interest gained huge momentum in 2004 when CBS correspondent Leslie Stahl visited the Kalahari desert to try hoodia for herself. She describe hoodia as "a little cucumbery in texture." Stahl had no urge to drink or eat for the remainder of the day and reported that she believed it was due to the hoodia she'd consumed. Hoodia is used exclusively as an appetite and thirst suppressant and weight loss supplement. Although there are at least 13 species of hoodia, hoodia gordonii is the only species identified to date that contains the ingredient P57, a glycoside believed to suppress appetite. While many are skeptical about hoodia's benefits, what little research has been performed demands attention. According to the Global Healing Center (GHC), an unpublished study on seven overweight people showed impressive results. Each person took two 500mg hoodia capsules with a balanced breakfast daily for 28 days. Most participants experienced a reduced appetite and an average 3.3 percent reduction in body weight. These results were achieved with no negative side effects. This is important because weight loss supplements are notorious for having uncomfortable and potentially dangerous side effects such as rapid heart rate, arrhythmia and insomnia. GHC cites another study performed on rats which determined P57 may stimulate the hypothalamus to signal the body is full. You have diabetes or take drugs to control blood sugar levels. You have heart problems or you take heart medication. You have bleeding or blood clotting disorder or you take blood thinners (such as warfarin, aspirin or heparin) or medications to increase the clotting of blood. You have an eating disorder such as anorexia or bulimia. Another concern about hoodia products is the actual amount of hoodia they contain. The University of Maryland Medical Center's website suggests hoodia supplements may contain little or no hoodia whatsoever. They may also contain other ingredients. For this reason, they do not recommend using hoodia to lose weight. In 2011, the FDA warned consumers that the "P57 Hoodia" supplement marketed by Huikng Pharmaceutical contained sibutramine, a controlled substance. Sibutramine was removed from the U.S. in 2010 after it was found to raise blood pressure and pulse in some people. In addition, because the efficacy and safety of hoodia hasn't been conclusively established, pregnant or breast feeding women, children, and people with liver disease or kidney disease should avoid hoodia. 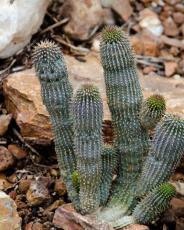 If you and your physician determine you should try hoodia, it's really important that you find a high quality source. Because plant supplements aren't regulated by the FDA, it can be difficult to determine their quality and, as mentioned previously, some formulations may add dangerous ingredients. Hoodia has been identified as an endangered species so it's important to only buy CITES certified hoodia. Look for products that specifically contain hoodia gordonii, the form of hoodia believed to help suppress appetite. Purchase only 100 percent pure hoodia and avoid added fillers and other ingredients, especially if you're unfamiliar with them. Powerslim Hoodia sells all natural, CITES certified hoodia gordonii. You can purchase a bottle of 60 capsules for $39.95 plus shipping. The price per bottle drops for each additional bottle purchased. Optimum Hoodia is also pure hoodia gordonii and CITES certified. A bottle of 90 sustained release tablets is $44.95 plus shipping. They also offer hoodia in powder, extract and mist forms. Millions of people struggle with weight loss. Since being overweight contributes to serious illness such as heart disease and diabetes, finding a natural weight loss solution that has limited side effects is an extremely exciting prospect. Preliminary research suggests there are many reasons to be excited about hoodia. However, the lack of hoodia research and the deluge of low quality products in the marketplace are reasons enough to proceed with caution. If you feel hoodia is right for you, discuss its pros and cons with your doctor.